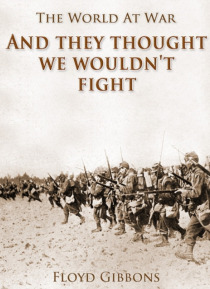 Marshal Foch, the commander of eleven million bayonets, has written that no man is more qualified than Gibbons to tell the true story of the Western Front. General Pershing, Commander-in-Chief of the American Expeditionary Forces, has said that it was Gibbons' great opportunity to give the people in America a life-like picture of the work of the American soldier in France. The key to the book is t… he man.